RFPIO is a cloud-based RFP software that eliminates the friction often associated with responding to Requests for Proposal (RFPs), through a no-nonsense set-up, simple and intuitive user interface, and robust integrations with Salesforce and Slack. "The Platform - and the People - make this RFP software the only one to choose!" RFPIO is incredibly user-friendly, and the addition of artificial intelligence to the knowledge base allows it to learn and evolve the more we use it (currently for our Public Sector proposals). The software, in conjunction with the extraordinary support provided by their staff, provides us with new and valuable insights into our RFP process, enabling us to achieve outstanding results! New features are added regularly, along with real-time training and support for those features. Truly, there is nothing to dislike. Any time I've encountered an obstacle or issue, the support staff immediately helps me to resolve it (usually just explaining patiently what I've done wrong). Be sure to take advantage of their training webinars and their outstanding support staff. Lots of opportunities to learn new features and - best of all - they listen to their customers and implement changes based on feedback! If you need something, speak up! Historically, we've spent hours searching through old proposals and computer files looking for content. RFPIO has streamlined our content-creation and review processes tremendously - so our entire RFP response process is now more efficient, more intuitive, more effective, and more collaborative! Thank you so much for taking time to complete this review, Lori. We are so excited to be partnering with SHI to tackle the response process. Our customer service is something we are very proud of and take great pride in. Please let us know how we can continue to support you and your team. Thanks again. "It works! Can't say that about others I tried." The ability to customize forms based on rfp type has really been a great value for my team. We have custom fields that populate throughout answers, and all we have to do is select the rfp type when launching the project, and then fill out the form once. But also, I love almost everything about the platform. Collaboration functionality, the ability to define search parameters for a project... everything. Our only challenge is getting our export templates to work exactly the way we want. Some of it is user error and we are getting better. But we struggle with the number of answer types that map to our templates. A perfect example is an RFP my team had to respond to this week. It was one of our more complex product lines that typically requires 5 to 6 different authors, sometimes on the same questions. Historically our first draft was taking 22 hours of work to prepare before review, as a single word document moved from person to person and then back for revisions... they're a nightmare. This week's effort took 4 hours on the first draft with everyone working and messaging in the system when they were done with their part. After two days I could theoretically go to print and ship, but now we can spend time in the review process to improve our messaging and blend the answers into a more coherent narrative. My subject matter experts love it, and my sales teams are no longer complaining about clunky language since we have time to review and edit more. What RFP solution do you use? "very easy and convenient to use, while helping to streamline RFP response process." GUI is very user friendly. RFPIO can be used as a central depository. User access management is also quite sensible, allowing guests participating without a full access. Importing files to create projects is rather simple process as well. Reporting makes usage of the tool quite transparent and useful to provide high level view to the execs team - what projects were won or lost to allow taking appropriate actions. Overall communication and release schedule from RFPIO is rather good to rapidly incorporate new functionalities. Library answers management could do with few more features added as well as fields mapping while importing xls. These I plan to send in to RFPIO team to see if they can incorporate them into upcoming releases. Overall communication and release schedule from RFPIO is rather good to rapidly incorporate new functionalities. when implementing, it's worth appointing one or two people responsible for maintaining the answers library and get them liaised with relevant stakeholders in Product, Legal, etc who could validate answers in the library. benefits would be time saving overall as team members can collaborate easily as well as transparency over the project progress and its outcome. some other problems it helps solving are remote / different time zones locations of team members and using RFPIO allows to take faster action on responses. Thanks for your review, Oleg! Your recommendation for assigning content ownership in the Answer Library is a message we try to spread as well. Appreciate all your feedback, and glad that you're also communicating it to the product team. Thanks, again! "Centralized Database for Security Questions"
The ability to view progress on an open project. We recently were able to use this on our first live project. Multiple people were able to work on the project at once where in the past this collaboration was done through email and/or phone calls. Moving a project from active to archived or finalized. This process seems a little clumsy. This may be because of this being our first project versus having used the system for many responses. The biggest problem we have is that we answer many security questionnaires from many healthcare organizations each year. Those answers are not centralized and may be answered differently depending on the person. Also, it is estimated to take roughly 16 hours to complete a security questionnaire between finding the answer and typing the correct answer out as well as doing other tasks related to the job. The initial benefits we have seen are the ability for multiple people to collaborate on the same response versus emailing questions back and forth. That has saved a lot of time and effort for our first response. Thanks for your review, Rob. Glad to hear you are saving time and effort responding to security questionnaires. We know how much work they can be! Thanks, again! "Making life better, one RFP at a time"
Where do I start? RFPIO makes everything easier. What used to take me 5-10 days to complete an RFP now takes only a day. What I like best, though, is being able to assign sections/questions to others in my office; then the software saves their new answers to my answer library so that I don't have to ever ask them again. In an effort to automate everything as much as possible, RFPIO can sometimes make it difficult to manually change things. Rarely can I export my document straight from RFPIO and have it come out perfectly. But, hey, that's fine with me, I don't mind moving a few things around. The fact that all the questions get answered in a timely manner is enough for me. Consider how many RFPs you're able to complete in a month, then double it. Is it worth the extra business that you would potentially receive from submitting extra proposals? If yes, then 100% do it. My job title is Marketing Specialist, and RFPs are only a fraction of my day-to-day work. I'm now able to complete the same number of proposals as a full-time employee dedicated only to RFPs -- AND I can still get to my marketing work. Thank you, Kelsey! You make an excellent point about the potential revenue on the table when you have the time to do twice as many RFPs. Glad that RFPIO has made it easier for you to do your job and communicate with collaborators, and even gave you some time to give us an awesome review. :) We really appreciate it! The support we received from RFPio is nothing short of amazing (Thank you, Andrew!) and the tool has cut our time to complete RFPs down from 2 weeks to 2 days. I dislike that it took us so long to realize we needed RFPio on our life. I wish I had more to add here, but I really don't. I suppose the only problem is that so many people want to get into the system so we need to dedicate more time to get them onboard. If you hate completing RFPs, seriously get involved with this system. I genuinely enjoy completing RFPs now and I never thought I would be able to say that. We're cutting down our time for our RFP responses down from 2 weeks to 2 days. A single RFP no longer cripples our department. This is a wonderful review to receive, Mark. That you are now *enjoying* completing RFPs and having a good experience with our team (shoutout to Andrew!) is music to our ears. Thank you! "RFPIO has very quickly become a valuable part of our presales process"
The product works as advertised and RFPIO has been very responsive to changes we have requested. They have also worked with us to get us up to speed on the tool and my company has already worked on almost 70 projects since the end of May 2018. We have over 100 people actively using the system and are adding new users every week. Other business units are starting to use the system too. I would like to be able to assign questions to a group list not just individuals. That's the only thing that has been an issue for me. RFPIO has been very responsive and helpful. When we find a question or issue they address it quickly. My team loves using this product and feel like they are very productive. I would recommend this product to other companies. We are using RFPIO to answer security questionnaires, RFPs, RFIs and more. Many business units are participating in the content of the Answer Library and we are training people world wide on how to use it. Our documents are more consistent, we are more efficient when we work on projects and we are better able to track the effort of the work. I like that we have an easy to use interface and that my team can be very productive and process a lot of projects concurrently. We've integrated users from IT, HR, Legal, Finance, Professional Services, Education Services and more. Thank you for this excellent review, Elizabeth! Your successful rollout of RFPIO on such a large scale is one of our favorite customer stories. We also really appreciate your participation in our first user conference as a client panelist and advocate. It's a pleasure working with you! "Excellent RFP Software - Saves Our Company Tons of Time"
The ability to have the answer library at your fingertips is a huge advantage, since responding to RFPs is typically a very repetitive process. Also, being able to easily pull this information in from a single source is really nice, as it means that you can work through an RFP with only your laptop screen and do not need extra monitors. This makes it easier to work from a plane or when you are out of the office. Only being able to have 5 projects, that are not archived, at once, can be a bit of a pain. As I sometimes have to pull an older project out of an archive in order to update the status or other information, or if I need to regenerate the RFP response file. It also occasionally means that I have to wait to load a new RFP into the system until we complete at least one open project. This may be a license restriction, so if it continues to become an issue I will have to work with RFPIO to see if our license can be upgraded to overcome this. Consistency of response, response time, availability of response data to resources within the organization, ease of response, organization and cleanliness of response. Thank you for taking the time to complete this review. We have so excited to be partnering with you in the response process. It is very encouraging to know the Answer Library is a feature you enjoy so much. Please let us know if you have any suggestions for improvement as you continue to use our solution. Thanks again. Our RFPIO contacts, Ryan Slee and Stephen Peterson, are very responsive, and time and time again, they go above and beyond to help us utilize RFPIO in ways that greatly improves our RFI and RFP responses and turnaround time. We've used RFPIO for about seven months now, and so far, we don't have a single complaint. If your company needs a software solution to help you quickly and efficiently manage and respond to RFIs and RFPs, then RFPIO is the all-in-one platform that will meet all your needs. We're using RFPIO to improve our RFI/RFP answers and turnaround time. The Answer Library database allows us to keep answers updated. The answer recommendation engine is a huge help in completing RFIs and RFPs quickly and accurately. Thank you, Adam! We really appreciate your recognizing Ryan and Stephen for their help, and we will make sure they know. Sounds like you're saving time and keeping content up to date, so things are going smoothly. You know who to call if you need anything! "RFPIO Makes Responding to RFPs, RFIs, Security Questionnaires, and more much easier"
RFPIO's customer service is amazing! Between weekly training, addressing questions with platform improvements in a matter of days, onboarding has been a pleasure rather than a chore. We are already seeing benefits on our first few projects by allowing a team to collaborate on the RFP response, and we even had a dedicated training for the team working on the project! Grabbing content on the go that is formatted and ready to add to something outside of RFPIO could be easier. Call RFPIO, get a demo, and try it out. You'll love their unique cost structure, easy to use interface, and ability to manage content and projects with a clear view of the workload. We get a lot of RFPs through web portals that need to be answered in Excel, making collaboration and content editing a major challenge. We now use RFPIO to collaborate as a team across internal and external team members - saving so much time! We bring the Excel template into RFPIO and know how many questions we have to answer, can quickly assess who needs to do what, and spend more time responding to the strategic pieces. Thank you for your kind words, Lauren! We love hearing that your onboarding process has been a pleasant experience. If there's any way we can help make formatting content easier, don't hesitate to reach out. We're lucky to have your vote of confidence. Cheers to better collaboration with your team! "Best RFP solution out there!" After a lot of research, BD calls, and demos, it was very clear that RFPIO was leader in their space. The functionality is amazing and can really make a difference. The auto RFP fill in, answer recommendations, and reporting is far beyond the competition. Lastly, it was important to me that the people I would with, at whatever RFP solution i choose, we're not only great at their job, but great to worth it as well. I am very happy to say that everyone i have worked with at RFPIO has been great! The one downside I have seen so far is there lack of SOC2 level security. However, I have been told that this will be changing in the near future. Thanks, Barrett! Knowing that RFPIO has helped reduce some inefficiencies your company was facing in the RFP process is exactly what we want to hear. That lets us know that it’s working! Glad that your experience with our team has been positive, too. We really enjoy working with you and the Exari team! "A complete and easy to use RFP-tool"
RFPIO is very intuïtive,in adding new RFPIO-users to a project needs almost no explanation. New RFPIO-users are instantly happy with the way it works and the amount of time it saves them. Besides that it is also good to see that RFPIO really listens to its users and keeps on developing new features that help make our lives even better. I have not found anything I don't like yet, up until now RFPIO does what needs to be done and keeps adding new options. There are two minor things that I would like to see improved and that are the notifications, the are completely set, I would like to be able to customize those. And the available roles are limited, a customizable permission system would help us create better defined roles. RFPIO is the easiest tool to work with, especially the importing options save you loads of time compared to their competition. RFPIO has helped us to work together better and helped us to structure our tender-information. Answers to questions are easy to find and to keep them up to date. This saves us a lot of time answering RFP's using the RFPIO knowledge base. RFPIO helped us raise the quality of our proposals and at the same time saved us time so we were able to respond to even more RFP's. In previous years some RFP's would not have been answered because of available resources. Thanks for your review, Berry. We love hearing that you were up and running and happy so quickly! It’s good to know that the quality and quantity of your proposals has improved, and hopefully that’s made them more effective, too. It’s been great working with TOPdesk and we look forward to what’s to come in 2018! "Simply the best RFP software out there"
The software is super easy to use and my team was able to adopt the software quickly. Since administering RFPs is just one part of my job, I don't have a lot of time to train up my team members especially those with non-standard work schedules (developers). Additionally, I don't have a lot of time to chase people around to get them to answer their RFP questions. RFPIO reminds my team members to answer the questions before the deadline I set. And unlike a spreadsheet, I can "send" only the questions I need answered to an individual to keep that person focused; not overwhelmed. Finally, I love that I can reassemble the RFP in its original format or choose to output it in a template that our company designed. No support for fillable PDFs or scanned PDFs, but nobody I've seen can handle these non-standard formats. If you are using an older platform to manage your RFPs (Zycus, QVidian, etc.) or handling the process manually, RFPIO will be a treat. It's modern and very easy to use. It works in any browser (even mobile!) and my team loves it. Beyond the RFP process, it functions as an internal answer library for many common questions. Our technical resources love this because teammembers can simply look it up saving time. We are solving a few different business problems with RFPIO. First and foremost, it's our go-to application for responding to RFPs that come into our organization. Second, we are using it to house all answers to questions that were raised in during any RFP. Because of this, we can keep our responses current for future RFPs and as an added bonus, use this as an internal FAQ to answer many common questions our employees have. Thank you for taking the time to complete this review. We continue to improve upon our PDF import capabilities. Due to the nature of PDF documents, pre-defined fields pose a processing challenge. However, we are excited to take on the challenge. We will keep you posted on our development. Thank you again! 1. Import process – This was one of the primary reasons we selected RFPIO and it has only gotten better throughout the year. Most enterprises we work with have some cumbersome spreadsheet that they want us to utilize or uploaded to their portal. RFPIO allows us to leverage their solution to get through that entire process with much less effort. 2. Answer Library – We have really leveraged the tagging and star system to help prioritize answers. We find answers in seconds versus the hours it took previously. We also have confidence that they are the most recent and best answer. 3. Their Team – Each time we had a question or needed help, there service and response have been flawless. That we did not find them sooner. Seriously, when I volunteered to take the lead on our RFP process, I did not have a good grasp on how broke it was. We were wasting an enormous amount of time and valuable resources with our manual process. We have fundamentally changed the way we manage RFPs. We are no longer responding at the 11th hour or burdening valuable internal resources with the same questions. None of that would have been possible without RFPIO. Thanks so much, Jim! Your comments mean a lot to us. Knowing that both our solution and team have helped change your RFP process so fundamentally is music to our ears. It’s especially nice to hear that the only downside was not finding us sooner—we agree! It has been great working with you. Cheers to even more RFP success in 2018! "A fantastic tool that creates efficiency and drives collaboration. " RFPIO has completely changed the proposal process and content creation at our company. Along with a variety of functionality, RFPIO offers the ability to collaborate and share projects across departments and companies, reducing the time it takes to develop content and implement changes across the board. It's easy to use and completely customizable, and has granted our company the freedom to adjust to changes and updates on the go, while maintaining a central source for information and content generation. Occasionally, additional points of functionality aren't always intuitive, but there are methods for recommending changes and improvements that the RFPIO team monitors and implements extremely quickly. RFPIO has become our established tool for creating proposals, executive summaries, and other key content folders. While using RFPIO, our teams have shaved days off of processes that often are difficult only because of the lack of a central content hub. Additionally, RFPIO has provided us access to edit and iterate upon previously generated content, providing the ability to centrally focus our content creation efforts. With RFPIO we have realized a new level of ease in the proposal process. Thanks so much, Tyler! It’s great to hear that MetalToad’s process for creating and maintaining quality content has been markedly improved. That it has boosted collaboration is an additional testament to our intention with the solution. We really appreciate that your team is getting such value out of RFPIO. Looking forward to a strong ongoing relationship with you and the MetalToad team! "Huge time saver, great customer service"
The Answer Library and the Section Templates let us save individual questions or blocks of boilerplate text so we can reuse approved content multiple times from one place. Searching for an answer that was previously saved is fast and intuitive. The Customer Service team is great as well, I have requested several features through the platform, which have all been acknowledged by the RFPIO team, and many of them have already been implemented in the system! There isn't much to dislike! Any time I have an issue or find a feature I'd like to have, I contact the RFPIO team and it's addressed right away. If you're looking for a user-friendly repository for RFP content, I highly suggest RFPIO. It fosters team collaboration, reduces errors, saves time, and their variables/fields make it easy to update content from one place. And their Customer Service is outstanding! Before RFPIO, we were copy/pasting content from old RFP documents and individual boilerplate Word documents. This was extremely inefficient and resulted in copy/paste errors. With RFPIO, all the content is in one place that the entire team can access (proposal writers and sales reps), which not only saves time and reduces errors, but increases collaboration within the team. RFPIO is a huge time saver, and makes it easy to access and update our content as needed. Thanks for such a kind review, Catherine! Glad to hear that you’re impressed with the usefulness of the Answer Library and Section Templates for your content. We agree that the “old way” was inefficient, and that’s why we’re here. We’re really happy that you’ve had a good experience with our team, too. Here’s to a strong ongoing relationship in this new year! "A flexible, low-impact RFP software which easily goes toe-to-toe with larger solutions." The reason we eventually chose RFPIO over Loopio was because while Loopio could get some limited compliance questions (i.e. Enter 2 for "Out-of-Box", 1 for "Custom", etc) it didn't store those responses in the database. RFPIO not only has more flexible configuration for those compliance questions, it actually does store the responses. It makes the database less able to accurately auto-fill, but I'd rather have a comprehensive record than a working auto-fill feature. I've also enjoyed watching RFPIO grow as a software. Sometimes I'll come into work in the morning only to notice that they snuck in a powerful feature while I wasn't watching. As an example, they just added an ability to merge paragraphs when doing the markups for import. It was something I desperately needed, and all of a sudden the problem was just solved without a whole lot of fan fair. If you get RFPIO, you'll notice dozens of these little improvements just sneak in, with your account manager announcing them in batches at the end of a development cycle. It always comes as a pleasant surprise. Lastly, their support has been fantastic. At one point I botched an import and it completely destroyed system latency... but I thought the internet was just running slow. Within an hour, the RFPIO team had identified a pressing issue I didn't know we had and contacted me to inform me and to help me fix it. It was a fantastic experience, even if I did end up feeling a little embarrassed. It has been difficult to get SMEs outside of my department to adopt. It you are not in there using it all the time, some features come across as intimidating. We had complaints about the way boxes expand on selection, on not being able to easily see with a single click ALL the specific questions assigned to the SME, and just in general the number of clicks needed to accomplish tasks. Some of this boils down to education, but if an SME is just picking it up briefly to try to answer one or two questions, it will seem like a huge waste of time to them. The interface for the most part is just fine, but part of the flexibility in the software comes at the cost of intuitive navigation. Returning to the section overview of the project takes two clicks (one to open the menu, one to click "return to section overview"), but completely leaving the project only takes one. Little issues like this can make the software a little opaque, especially to people who are not using it as often and aren't used to its quirks. Lastly, I really wish there was some way to set notifications to go off in batches, so if I can assign questions as I go rather than having to make sure I do it in a group to keep the SME from getting bombarded with notifications. Perhaps this is a non-issue and I just haven't seen the solution, but I never remember to bring it up when speaking with our account manager. As far as I can tell, RFPIO is the ONLY software you should be considering if you get a lot of compliance questionnaires or see a broad variety of RFP formats. It seems like every single company who sends us an RFP or RFI is trying to stump the import, but unless they send us something in a truly obtuse format (looking at you, stupid little MS Word table text boxes/check boxes) we can usually get RFPIO to piece it together in a way that's manageable. I suppose that something like Qvidian which offers a custom solution could also manage that, but you'll have to pay the price in terms of implementation time and actual dollar value. We had no way of collaborating on RFPs in a meaningful way, and I usually ended up spending an hour just collecting all the responses and trying to wrangle them into a single document. Relying more on RFPIO eliminates some of the need for version control, and if I can get people more familiar with the guest response feature it may help reduce the time further. The database is by far the most important part. Not only has it reduced the number of questions we have to send out, it allowed me to assign questions to a new employee and still get good results, even without them having a strong understanding of our software. It ended up working as an education tool for that individual. Just having it available in the same work-space via the right-side frame is enormously helpful. We can't really get consistent use out of the auto-respond function, but the one time it did work it was fantastic. Thank you for taking the time to complete this review. We are truly excited to be working with you and your team. We are continuously improving the user experience and strive to make the solution more easy and user friendly. Your feedback helps us make that happen. Thanks again. "Intuitive Solution for Adapting to Complex Proposal Landscape"
The answer library is able to sort out the best match quickly and efficiently allowing you to focus on quality rather than research. Tagging and managing responses with meta data allows you to narrow focus quickly and answer repetitive RFP's faster than copying in old responses from previous responses. Moderation tool allows you to keep the garbage out and keep your database resilient throughout a chaotic sales cycle. The RFPIO team stays on top of concerns quickly so the few functionality items I have brought to attention have been acknowledged and are being worked on! Make use of the saved webinars to get the foundation knowledge laid quickly and by the time you implement you can have conversations at the expert level with the RFPIO team to get your company moving into a live environment in no time! Speed to answer in an accurate and client focused manner. This solution really takes the hours I spend researching multiple documents and resources to find an "ok" answer to turning my time into answer strategy. This has allowed our company, in a really short time frame, to get quality responses from SMEs and be more customer centrist in a very competitive market that fits our core tenants. Thank you so much for taking the time to complete this review. We are really excited to partner with EmpiRx Health and look forward to the season ahead. The ability to categorize and store historical data within the solution is a feature we take great pride in. Thanks again for your feedback. I love the ability to find content and "merge" for similar answers. It's also easy to search for content. It keeps our content organized and accessible and has definitely made my job easier! So much more intuitive than other systems i've used! It's a little difficult to import RFPs that have their own questions, sub questions, sub sub questions, and maintain the original numbering, lettering, etc. And when exporting to a template you have to select the various levels. But none of that is insurmountable. Any time we have a question or need additional training the support has been fantastic. They listen to suggestions for enhancements, and usually implement the suggestions pretty quickly. You can customize as much as you want, and even upload documents, like exhibits/attachments, into the library to pull from. One of the nice additions is the ability to import attachments from your files to specific answers, so when you export the entire package is there. HIGHLY recommend! Thank you so much for this thorough review! Your feedback makes things easier for us too. Much appreciated! "Revitalised our bid management process"
RFPIO is easy to use from day one. We have been able to grow our content library organically and learn 'on the go' following our initial training webex's. It is simple enough to train other users very quickly. Great advantage that the library uses tags rather than being folder-based - this caused us many problems with our old tool. No strong dislikes - just a wishlist e.g. being able to have Rich Text AND set a character limit on Excel questionnaires. Also being able to chat with multiple people. Would like to see more report options. Definitely arrange to have a WebEx demonstration. Once you see how easy it is, you will be convinced. We compared @ 6 different tools and RFPIO offered us the greatest balance of cost, ease of use and features. Thank you for this thoughtful review! Good to hear that we stood out from the bunch, and made things easier for you right away. Much appreciated! "Has made my life so much easier!" The customer service and support. Any time we have needed support we have received an email within 5 minutes of our request and a call shortly after to talk through our issue. We have also suggested a number of changes and enhancements to the technology, most of which have been implemented within days - this to me is exemplary and sets RFPIO apart. Nothing, other than the webinars are not suited to Australian time. However they are all uploaded after which is the next best thing! Thank you for taking the time to complete this review. We are so excited to partner with you and your organization in the response process. It is truly our desire for our customers to experience a partnership with us that exceeds their expectations. It is so encouraging when we hear the vision has been realized by our customers. Thanks again. "Well-Priced with some good features and metadata management." Due to a great deal of customization in our internal template and products - we cannot yet automate end-to-end using the tool -without having to do a number of back-end edits. This seems to be the case with a lot of these applications though. Buy in during implementation is key. It is really easy for contributors to login and answer questions which is essential. Our SMEs/internal contributors have had great feedback, and they like knowing that anything that they input will be available for as long as you are using the tool. We are creating a central repository with product information and answers to frequently asked questions - which speeds up our process, and saves the company time and resources. Thank you for your review and feedback! Your recommendation for getting buy in during the implementation phase is spot on. It's an automation tool, but it takes people to make it work. Thanks again! "Amazing Answer Library & RFP Answer Populating Tool!" RFPIO's answer library is intuitive and impressive. When responding to imported RFP questions, answer recommendations automatically populate as "suggestions" directly from the answer library. In RFP mode, you do not have to search - RFPIO instantly recognizes the question and intuitively recommends the best-fit response. The Answer Library is also host to multiple filtering tools, rules and tags that help to limit and match the best, most appropriate answers to your questions. The general search feature in the Answer Library is lightning fast and provides amazing, accurate search results from the simplest one or two-keyword searches. There is not much to dislike about this program. It is built like a modern "app" style program and is very user friendly. The import feature and export to template features are very advanced and detail-oriented, but using the import and export to template function can take some getting used to in order to get your RFP export results to look exactly the way they need to. Moderate to advanced computer-literate people can navigate this program and orient themselves with ease - very user friendly. One suggestion - for users who are not used to working regularly in Word or the Office Suite (yes, we have some old-school SMEs who are better at speaking / presenting than they are at writing emails) - an optional User Wizard for introductions at the BEGINNER level might be a helpful option. Most users would not need to use this wizard, but the more timid users might benefit from a wizard walk-through. Take the time to speak with the Company's president and take full advantage of the training / orientation sessions. Once a customer, the owner & manager will set up a live web conference to train you on introductory features - take full advantage and ask questions. Countless man hours are saved in responding to RFPs, RFIs and vendor questionnaires. Whether we only use RFPIO's answer library or we use the full process of importing/exporting our RFP response, SMEs / users (the system calls them authors) save several hours each week in accessing stock responses and building good technical answers. Furthermore, the answer library can be edited and update in real time - which eliminates countless hours wasted on performing archive audits and removal of old, outdated RFP responses. Library responses can be edited on the fly and changes take effect immediately, in real-time, applicable to all users. On average, a company responding to 2-4 RFPs per month can expect to save, at minimum, 80-100 man hours in time spent researching and answering technical questions. With employee hourly rates ranging anywhere from $25 to $50 per hour (or higher), the cost savings on man-hours far outweighs the cost of the product. Truly a service that pays for itself. Thank you so much for taking the time to complete this review. We are still very excited to partner with you and your team at Wolters Kluwer. We are continuously improving the user experience and strive to make the solution more user friendly. Your feedback helps us make that happen. Thanks again. "The Best Proposal Management tool we could find"
Our software company (CSDC Systems) reviewed 6 Proposal Management products, including RFPio. We've only run into one issue thus far. Sometimes the formatting (carriage returns/line feeds and bullets) don't always import and export the same way. We have a situation where multiple partners use our Answer Library. We need more flexibility to create teams in RFPio such that one partner's content is kept separate from another partner's content. While at the same time, our generic content is reusable by everyone. We are a $20M software company that has a network of partners that submit proposals using our software. We need to provide them a library of content that they can use to prepare their submissions. Thank you for the thoughtful review! We are grateful that RFPIO came out on top when you were going through the vendor selection process. Hope we can continue to add value in your response management processes. "Game-Changing Solution for the RFP World"
Although the software itself is innovative, flexible, and an outstanding tool for collaborating on and managing the RFP response process, what I like best is the support. The people at RFPIO are what make this software so easy to like -- they are responsive, helpful, and eager to expand and adapt RFPIO to be exactly what we need it to be. The high point for me in using the solution is the purely magical import feature, which allows us to import complex -- positively labyrinthine -- proposals into RFPIO and easily identify sections, subsections, questions, subquestions, descriptions, tables, etc. It's impressive. Another game-changer is the answer library, which can be tagged, filtered, assigned, and categorized according to need. Not a thing! When I run into hiccups or features I'd like to see, the RFPIO team is on hand to help. Feature requests and bug fixes are rapid, and they seem eager to hear from customers about ways to improve. Our major challenge going into selecting RFPIO was user access. With our previous solution, we were limited to a set number of users. This really left us hamstrung when we needed to pull in SMEs to respond. RFPIO's platform is set up for unlimited users. Thank you so much for taking the time to complete this review. It is such an honor to partner with you and your team at MD Live. Thank you so much for your kind words and honest feedback. "Collaborative platform that beats the competition, hands down." My favorite thing about RFPIO is how well it supports collaboration, regardless of how often a team member participates in the RFP process. The project overview dashboard is a great tool to understand overall response progress at a glance. It's turning in to a game with myself to see my "percent complete" number increase as quickly as possible! After another month of using RFPIO, the feature I am currently over-the-moon about is the "Answer Library Moderation" and related ability to "Compare & Merge" answers. Not only can you add alternate questions to existing library content, you can add alternate answers and customize the names (e.g., Short Response, Excel Response, Division-Specific Response, etc.). This is a huge improvement over technology I used to use that inevitably resulted in duplicate answers. Even worse, it was very difficult to use and re-use slight, but important, variations on the same answer; instead, my team would end up re-customizing the answer each time they used it. RFPIO takes such a smart approach to this, and it's going to save me time while allowing me to have better answers at my fingertips. RFPIO is constantly listening to user feedback and quickly making changes to the tool. In fact, I see reviews that are less than 30 days old that are already outdated based on recently implemented improvements. RFPIO is extremely responsive to feedback and recommendations, so it is hard to say that I dislike anything about it. Even the smallest recommendations I have made have either been implemented in the latest release, taken into consideration in between releases, or in some cases I've been shown a workaround very quickly. I evaluated other similar tools and have years of experience as a user and administrator of Qvidian software. I am beyond excited to be using RFPIO now. My company did not have a formal RFP process, let alone a response management tool, prior to RFPIO. We are still a relatively new user, but I am thrilled at how much time we are going to save team members and subject matter experts throughout the company. Given RFPIO's license-free model and the suite of strong communication functions available throughout the tool, I am confident that we will be able to write stronger, more accurate proposals while spending less time to do so. Thank you for taking the time to complete this review. We are really excited to partner with you and your team at Beacon Hill Solutions. Your feedback helps us improve our solution and we take it to heart. Keep up the great work! "Nimble Development - Excellent Answer Library Management"
The team at RFPIO is incredibly responsive to requests. I love that there is direct access to feature requests from within the application interface. I've submitted some off-the-wall requests that would help our team improve our process and RFPIO responded in stride. Love working with these guys. Assessing a questionnaire requires human interpretation to uncover the real meaning of a question, which software (any software) is not good at. RFPIO does make this easier with the suggestion engine. We turned around a 100 question RFI in 45 minutes. We also have a reliable, single location to point to for information with the Answer Library. Also our paragraph form responses look much more professional using the template generator. Thank you so much for taking time to complete this review. We are really excited to partner with eOriginal and look forward to the season ahead. The solution's success hinges on amazing feedback from people like you. We truly could not provide this level of service without customer engagement. Thank you so much for being a customer we can count on. "An intuitive tool with excellent support and thoughtful development." I work as a subject matter expert for a digital marketing software and services company, and part of my role is answering RFI and RFP questions. The RFPIO tool and platform has streamlined our company's processes for these RFP projects, enabling our teams to work faster, smarter, and more collaboratively than before. Once an answer library is populated, maintaining this library can be cumbersome -- but this is an inherent issue with mass content repositories in general, not a specific deficit of RFPIO. We have realized the benefit of nuance in our technology answers; general answers can fit many RFP questions, but the tools in RFPIO have enabled us to craft slightly nuanced answers to fit more appropriately with some questions. Thank you for your thoughtful review! Sounds like you had a good process for content creation before, but it's good to hear that you can use more nuance in your responses now, with RFPIO. Always a positive to go from good to great! "Streamlined RFP to Proposal Process"
In addition to the streamlined processes in RFPIO, it has the unique feature of being priced by the number of projects, eliminating the cost of a large number of users (SMEs, outside contributors, etc.). We can also easily engage outside authors; it has informative project status dashboard and powerful answer library functionality - tags, filters, etc. Multiple export templates can be self managed and serve as a tremendous time-saver when preparing to finalize our proposals. We are now coming close to a year in our use of the application, but look forward to the growing value of the many metrics and reports available. Despite the items listed in the Cons below, the RFPIO team has been very responsive to our input and quickly implemented many of our feature requests. User guides. RFPIO should enhance them to better explain the intent as well as the use of features and functions of the software. Initial import and management of the answer library is a bit challenging, relative to formatting of text and images. We find that it has been difficult for outside users to engage as they don't have a consolidated assignment page. There also seems to be some resistance because the platform is characteristically different from other common computer applications. There are aspects that are not as intuitive as one might desire. The answer to this has been to provide training that is specific to our organization and product use. In addition, we have set up a training project within RFPIO for people to experiment. Again, the RFPIO team has been very accepting of our input and working with us to either share use strategies or implement changes for easier operation. Be prepared to have a period of training and experimenting within the primary team prior to a full release to others. Then develop a training script to share with others that covers the basic principles of contributor use. From implementation, the RFPIO platform has improved our proposal development process time, particularly regarding first pass. As the valuable response library grows, so improves the speed and accuracy of this part of the process. This flows into the assignment capabilities for pushing gaps to subject matter experts, tracking progress, and maintaining a trail of follow-up efforts. Thank you so much for your thoughtful review. It’s great to know that we’re helping to improve your speed and accuracy in the RFP process! It’s also really helpful to hear about areas where we can improve. Training materials for extended teams is absolutely on our radar. Stay tuned! We have been using RFPIO for almost a year and it has changed the way we work. 1) Web-based access - no need to load and reload Microsoft add-ons; access the system from anywhere, even on your home computer (no need to even bring your laptop home from the office); VERY FAST response times to content queries (I could have written a book in the time I have spent waiting for the Qvidian windows to open). 2) Pricing model that supports collaboration - pricing is based on the maximum number of concurrent projects, not user seats. So, if you need someone to work with you, you invite them to access the tool on the fly. We have a lot of SMEs and internal clients and the pricing is the same no matter how many people involved. 3) Tags to organize materials - forget about folders - tags are a much better way of organizing content. They offer high flexibility and allow you to organize and search for content in a very intuitive way. 4) Constant innovation - They are truly collaborative in their innovations, many of which are based on our feedback. They are always adding functionality and making it more productive. We have been very successful in achieving proficiency among our SMEs and have received kudos from across the company. I would like them to add a feature that allows us to store our standard non Q/A pair content in the tool. The current "Section Template" functionality does not work for us. But this is a minor blip compared to the major productivity and accuracy we have gained with RFPIO. It will take some time and energy to get your content into RFPIO but in the end, it is very much worth it. Don't load redundant content. Try to think ahead about your Tagging structure but expect to make some adjustments. The efficiency is amazing. In the digital age, clients and prospects are requiring us to turn around RFPs and other documents in very short timeframes. We answered several RFPs over the past year that we could never have completed if not for RFPIO. We were able to turn out spectacular responses and advanced in all these opportunities. Thank you so much for taking the time to complete this review. We will continue to work towards providing content to assist the roll out process. Thanks again. "RFPIO Solved our RFP Problems"
Historically responding to RFPs was a labor intensive, slow process that required digging through past Word documents to find answers from previous proposals or re-writing answers to questions that we had previously answered but didn't track our response. RFPIO has enabled us to increase the volume of RFPs that we have responded to while streamlining the process. It has shortened the time spent to respond to a single RFP from a number of days to a few hours and enables us to create a higher quality response at the same time. The document library and branded template allow us to always respond with a strong proposal using our best answers and maintaining a consistent brand in our proposals. We avoid formatting and editing errors that were frequent when trying to create individual Word document proposals. There is nothing I strongly dislike about the product. The base subscription that we have doesn't include certain add-ons, such as Salesforce.com integration and SAML integration with our identity provider, Okta. While available, they are an additional charge that we did not value for the cost. We need to respond to RFPs to win new business. As a small professional services company, RFP responses were labor intensive and a significant investment of our time. RFPIO has enabled us to more efficiently respond to RFPs while also improving the quality of each response. The task assignments and due dates also enable us to stay on task, eliminating the last minute scrambles we had to finalize proposals previously. The system also enables us to build in workflows that support our compliance programs so that we have subject matter and compliance reviews of each proposal. Thank you for your thoughtful review. We’re glad to hear that the volume of RFPs you’re responding to has increased due to a more efficient process, and hopefully that indeed means more new business. Sounds like you’re ready for a successful year in 2018. Thanks again! "RFPIO Helps Metal Toad Be More Effective"
My favorite feature is the reviewer feature. It’s our digital record for stage gating a SOW before it gets sent to a client. It’s important for us to know that various people in a company have bought into what we’re saying we’re going to do for a client. My second favorite feature is the answer library. I cannot even tell you how many hours I’ve spent in my career digging through documents for that one brilliant paragraph that somebody wrote (who knows how long ago) that simply explained a really technical topic. Like, literally hours—days, weeks, probably. Within the answer library, I get hours back in my day because I can search by keyword and all of the potential matches pop up. And, that’s great. The third feature I like is the feedback feature, where RFPIO clients can give direct feedback. I’ve never once in my career suggested a software improvement to a tool I was using and have the company actually implement the solution within a two-week period. Internally we were blown away by that level of service. I love how RFPIO is taking suggestions from users seriously, implementing them, then sending me a personal email telling me to go check it out. Major props to your guys’ software development iterations—and your customer service model is fantastic. Sometimes the admin interface is hard to find, but thats only because I don't use that part of the system that often. Take advantage of the customer feedback button/feature. Prior to coming to Metal Toad, I spent seven years responding to government and utility RFPs. We had a manual process in place and eventually it got the job done. But once I joined Metal Toad, I really saw how different the software procurement was vs. government. Metal Toad didn’t have a manual process in place when I got here. Every time an RFP came through, it was done differently—there wasn’t a dedicated team of people or a proposal manager. We’re a small company of about 50 people, so RFPIO has really helped us solidify our process and unify our voice as a company. Most importantly, it has saved us a ton of time. Additionally, all of our scopes of work and contracts were done using Google docs, and now we are using RFPIO for the contracting process as well.. We would end up with a lot of different versions in our drive. Sometimes it was hard to track down the original document that matched the signature. Thanks for such a thoughtful review, Hayli! We’re glad to know that you’re not only getting the most out of RFPIO’s features, but that the solution itself has helped create more efficient processes at MetalToad. We appreciate that you’re advocating for our service as well. Our dev team works really hard to turn those feature requests around quickly and with care. We couldn’t do it without your suggestions, though. Looking forward to a strong ongoing relationship with you and the MetalToad team! "RFPIO - About as Useful as It Gets"
RFPIO has been extremely helpful in adding new features as well as tweaking existing ones to make sure they work best for our team. Some things are unclear for new users. We feel that a better user guide is necessary - something written and not in video form. RFPIO will take your ideas and recommendations seriously so if the software is missing something you think it needs, just let them know! RFPIO is speeding up our processes by nearly 200%. The ability to quickly respond with pre-reviewed and formatted content is excellent and something our team takes advantage of everyday. “About as Useful as It Gets.” Not too bad! Thanks for such a great review. We appreciate your pointing out the features that work best for you—especially the user interface! Glad that your response time has improved so markedly. Your feedback on user guides is helpful as well. We are working to update our training materials in this new year. Thanks again! "Sleek system with some limitations"
The system is fairly intuitive and easy to use. Navigation is straightforward and the content is easy to read. Editing within the system is similar to Microsoft. There seems to be limited flexibility for making notes on content within the system...i.e. as an editor, I would like to be able to review content and make notes within the system for future edits. While I am able to highlight and attach a note, those notes are not easily accessible and there does not appear to be a function where we can pull that content with the notes extant. Without a content ID number, it can be challenging to find and edit content. We are using the system for content management and proposal response. We are still in the early stages, so unable to assess the benefits. Thanks for taking the time to give us your feedback. Glad to hear that you’re finding the navigation to be intuitive. Your input about making notes on content is really helpful and we will look at ways to make that easier. Please feel free to reach out to us at any time with concerns or requests. Here’s to a more efficient and successful year of responding to proposals. Thanks again! "RFPIO has a robust product and great customer service"
RFPIO as an online support community where users can submit ideas. I've seen a lot of these ideas implemented in various releases over the last 18 months. I have also enjoyed working with Andrew Stone and Mitchell Hipp. When any question or issue has come up, they have been quick to reply with a solution or escalate the issue further up the chain-of-command. It is not everyday where the CEO of a company emails you regarding any issue you've encountered. Ganesh Shankar very much cares about resolving issues to the satisfaction of RFPIO's customers. The training early one wasn't strong and it took about 6 - 9 months before we were able to fully utilize the system. We did find a handful of QA issues that impacted our productivity. However, Ganesh and his team resolved these issues to our satisfaction. If you need a robust automation tool for your RFP response process, then RFPIO is the platform for you. The fact the system can implement with Salesforce is a big deal for Routeware. We rely heavily on Salesforce and the integration between both platforms was a big selling point. Our RFP process was very manual prior to RFPIO. We had no means of automating our process or being able to integrate Salesforce to the RFP process. With RFPIO, we were able to build custom SFDC fields that merged right into RFPIO. Between the merge fields, the section template management, answer library, and exporting right into Word allowed Routeware to cut out 15 - 20 hours of work per each RFP response. Thank you so much for taking the time to complete this review. We are really excited to be partnering with Routeware and look forward to the season ahead. The solution could not be a success with out great input from users like yourself. Thank you so much for contributing to the online community. "A great RFP solution for scaling proposals"
I like the support and updating the best. The team is very knowledgeable, friendly, and easy to get in touch with. They do care about the clients and helping them understand their product and will spend time one on one with you (they've spoken with me many times so far ha). I'd love to see more color options, and more explanation on discussion vs. clarification vs commenting, but that is more of a me thing. Not much dislike about RFPIO. Try it out, it's fun and easy. We've been able to create RFP responses quickly and store a vast amount of knowledge in a short amount of time with RFPIO. Thank you, John! We always hope people are having fun when they use RFPIO, so we appreciate you saying so! Glad to hear you’re getting the support you need from the team, too. It’s always our goal to make sure you have what you need. Here’s to creating even more successful RFP responses with ease! I love the ease-of-use and RFPIO's intuitive interface. I am able to upload an RFP and populate answers using the recommendation engine in minutes. RFPIO has saved me a ton of time. I have yet to find an issue with the software. If you want to automate your proposal process, and guarantee that you have accurate and up-to-date content, RFPIO is the way to go! RFPIO saves time, gives us control over content and ensures every proposal is consistent. We are able to manage our content library from one shared database and ensure that content is reviewed and updated in a timely manner. Thanks for taking the time to complete this review, Anne-Stuart. Feedback from users like you really help us design a best in class solution. We really could not do it without your support. Thank you for all your helpful input. "RFPIO - Best Solution for RFP Collaboration and Automation"
I compared RFPIO to 5 other companies and came to the conclusion that they offer the best platform and pricing structure. Based on my experience with other well known systems, RFPIO is designed with the end-user in mind. It allows for collaboration among SME's without having to acquire additional licenses. Very little training is necessary to use RFPIO and they have been adding new features without creating complexity. I've enjoyed working with RFPIO very much. They are always willing to listen and assist. The system is very well designed with the end-user in mind. While I do not dislike anything, I look forward to implementing custom branding to ensure a seamless experience for users of Salesforce and RFPIO. Don't spend much time evaluating other companies. This solutions solves for the problems with the other software in the space. Building a scalable, repeatable process which centers around a cloud based software system for handling a large number of RFP’s, IT Security Questionnaires, Due Diligence Forms and Vendor Applications for several large companies. This system easily allows us to invite multiple contributors, authors, and reviewers (Team Members) at a Project, Section and Questions level throughout the entire group of companies. Thank you so much for taking the time to complete this review. We count it a great honor to partner with you and your team at Cision US Inc. We strive to make the solution better and easy to use for our customers and we could not do it without your continuous feedback. Thank you for all your support of the solution. The tool offers a KHDB accessible to everyone at the company and great role management. RFIs, once imported, can be easily divided and the work load can be spread evenly across teams. The current progress is always visible. Sometimes the importing of files requires a lot of focus and attention and the tool doesn't always recognise the different sections as such automatically. RFIs were always single handedly processed, if that person got sick or went on leave, it was hard for a third person to figure out what went on. With RFPIO the information is easily accessible. Thank you, Bjorn! You make a great point about continuity of work being challenging when just one person is managing a process. We absolutely want RFPIO to foster collaboration and alleviate that difficulty, so it’s great to hear that’s working for you. We are always looking for areas to improve user experience so your feedback about the import process is appreciated. Thanks again and cheers to working together in 2018! "Collaborative, easy-to-use tool for managing RFPs." 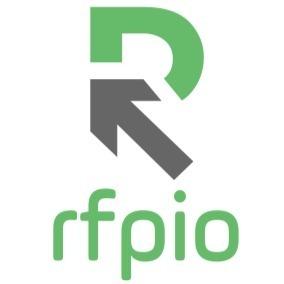 I like the RFPIO tool because it is a collaborative, easy-to-use tool for managing RFPs. The ability to easily import, assign responsibilities, assign reviewers, and have flexibility in output are reasons why the RFPIO tool cuts the wasted time out of managing and responding to RFPs. The RFPIO tool doesn't have a good way of managing multiple solutions in an RFP response project. If you are looking for a more collaborative tool to manage multiple RFPs at any given time, RFPIO can help. Quicker turn-around time and more accurate answers on an RFP response project. Thank you for taking the time to write this review, Matt. We really value our partnership with Viewpoint Construction. Your feedback about supporting multiple solutions in a project is helpful and we've already begun working on a plan to address your particular needs. It's good to hear that your team is collaborating better and improving your responses/turnaround time. Thanks, again! "able to complete the Q & A portion of the RFP in an incredibleshort period of time"
able to locate the proper responses/answers immediately and the choice of short/long responses is great. Thank you for your review, Pradip! Always good to see more in the "like" column than the "dislike" one. :) Much appreciated! "Best Enterprise Software I've Ever Used"
I'm pretty late-in-career, and I've used a whole fleet of enterprise software tools. RFPIO is by far the one that gets the most done for me the fastest and is also the easiest to use. Save yourself tons of research and fiddling around evaluating tools. Jump immediately to adopt RFPIO. From the per-project not per-license pricing model to the easy import and export features to the content updating workflow capabilities, this is the tool you always dreamed of. Respond to rapid-turnaround RFPs, involve more people in the RFP response process, unlock knowledge assets to a broader base of users....I could go one and on. Thank you so much for taking the time to complete this review. We are really excited to serve career managers such as yourself. The solution is designed specifically for people like you. We will continue to bolster help center content to champion success. Thanks again for your feedback. There are lots of good RFP tools out there, but I feel like the big difference between RFPIO and the tools we've used before is the high level of customer service we receive. The folks at RFPIO are fantastic and respond to issues faster than any vendor I work with today. Everything is done in a courteous and helpful voice. It's a true pleasure to work with RFPIO. I have nothing to point out at this time. We have a fantastic library of RFP responses now. Before this, we had to dig up old files in various formats and try to cut and paste answers. Now, everything is streamlined for us. Our answer database gets better each time we fill out an RFP. My executives have been very pleased with the results. Just wanted to let you know that we really appreciate your kind words and are happy to support you on your RFP journey, Carlos! So glad that you're finding use in the Answer Library and can pass that efficiency on to the execs. Cheers to a successful 2018! "Best in Class for Value, Features and Innovation"
These folks are great to work with, they listen to your needs and try to solve them in upcoming releases. They are truly customer driven finding solutions to real world problems. A real plus when compared to the other large companies out there. When we first looked into vendors for RFPs it was a daunting task, many had the same features but they just did not get it quite right. I'm glad I found them. - Multiple custom variables, able to use "x" for items used throughout other responses, i.e. company names etc. - Use your own templates and have perfectly outputted content. Hard to say, but like any software adoption, it will likely be from getting our salespeople to change their mindset from using Word only to an online experience in the cloud. Take a look at the other vendors out there, we did and were quite happy with RFPIO. Stale content and faster turn around time. Now everyone has access to the most up-to-date content at their fingertips. Thank you so much for taking the time to complete this review. We are so excited to be working with you and your team at RouteMatch. We are continuously improving the user experience and strive to make the solution more user friendly. Your feedback helps us make that happen. Thanks again. The interface and visual layout of RFPIO is excellent. It's easy to follow and find exactly what I need in no time. I appreciate the sections running along the side which easily allows me to pull up large blocks of information to review. The ability to track my current progress within an opportunity is easy to see, and I can estimate how long it will take me to complete an RFP by just the overview in RFPIO. One feature I would like to see implemented is the ability to flag a question in the system for review. At times I don't have the ability to review and edit, but would like to pull questions in a few days to rewrite. Being able to pull a list of flagged questions in the systems would be great. I would also like the ability to pull an Excel file with all my question and answer pairs to review. We're shortening the time it takes to complete RFPs. At times, our RFPs have over 200 questions. Being able to upload the questions and respond easily within the tool has already saved time in answering our RFPS. Thank you so much for taking the time to complete this review. We are so excited to be working with you and your team at LeasePlan. We continue to improve the solution and the effort is driven by feedback like yours. Thanks again. The Answer Library. Having the ability to house answers is huge. As a technology company we get a lot of RFP requests and the questions we are asked can often times vary. To be able to store answers and easily use them for future documents is fantastic. The auto-assign answer functionality really helps to move the process along much faster. Also, the ability to add old RFP questions and answers into the library was a time saver and kept us from having to build out from scratch. Learning the proper way to upload a project or document into the answer library was my biggest challenge. It does take some practice because it needs to be done correctly. When there are questions or issues their team is very responsive though and willing to help. I would also like to see a better integration with Salesforce. I would highly recommend RFPIO. The application is easy to use and train on. Everyone at RFPIO is extremely helpful in making sure you understand how it works and are always open to questions. All of our RFP;'s we being manually completed. There are several other departments within our organization that needed to be utilized to ensure we were answering the questions accurately. RFPIO has given us a way to streamline our process, make it more efficient, and get the documents out much faster than without. The Answer Library is making it much easier to keep our answers up-to-date. We are a technology company and our technology changes rapidly. It's a must to keep our answers up-to-date. Thank you so much for taking the time to complete this review. We are so excited to be working with you and your team. Thank you for trusting us with your response process. "Robust RFP Software with Continuous Improvement"
RFPIO has a lot of really great features that make it easy on RFP responders and reviewers alike. Firstly, the system can be utilized to manage both Q&A RFPs as well as unsolicited proposals. Secondly, the RFP document can be uploaded in its original form (including PDF!) Thirdly, each project includes a "tasks" page where all non-submission tasks can be tracked (e.g. intent to bid, follow-ups, etc.) Lastly, exported responses are pre-formatted and take little to no time to polish up before submitting. At this point there is not much we dislike about the system (we are fairly new). We have had to suppress some of the emails the system automatically sends out (although I would attribute that to sales team user error rather than system error ;). I will say though that the team at RFPIO is extremely responsive and responds to issues very quickly. We moved to RFPIO from RFP365. It has already helped us to cut the response/review workflow time in half. As a small team who ships a lot of projects, this is a game changer for us! Thank you so much for taking the time to complete this review. We are really excited to partner with you and your team at CareATC. As we strive to improve the solution, your feedback is a critical part of the process. Please keep it coming! Keep up the great work. "This collaboration tool is impressing us more and more every day!" A very powerful tool that has a very simple user interface. Minimal effort is required to get up and running, it truly is a "plug and play" application that continues to mature and evolve. The more you use it - the stronger it becomes. I have been able to train our sales team on how to use this tool to collaborate on proposals in only 1-10 minutes, and the response has been overwhelmingly positive! Even better than the tool, if that is even possible, is the company that supports this product. They have a great response time and really listen to your questions and suggestions. Often, if they don't have a feature you would like to see, an update will soon be created to accommodate your needs, making you feel like an integral part of this platform's evolution process. Simple bi-directional interaction with Salesforce and Okta integration is a plus! Nothing so far. If there is something that I would like to see feature-wise, there always seems to be a solution right around the bend. That means I don't have any hang-ups on wishing for something that won't happen. We needed a collaboration tool that was more effective than working on google docs, where responses could be archived in a robust answer-library for future use instead of trying to re-invent a new response time and again. We also required an innovative, non-traditional licensing structure that would enable our global sales team of 250+ representatives access to the answer database, but they only require actually working on the proposal on an as-needed basis. Sometimes one person would only need to create perhaps 5-6 RFPs in a year and we didn't want to have a dedicated per-user license to support that infrequency. RFPIO solved both these problems as well as many more benefits. What would take me hours of copy-paste-format-tweak now can be done in mere minutes. Even better is that once a response is drafted, it is automatically saved. Since we started working in RFPIO, I have not heard once "I know I answered this already, somewhere else..."
The inquiries on "where do we stand with this submittal" are also no longer asked. Everyone can see on the dashboard the percentage complete, and the status of each question. It has literally taken all the guess work out of the equation. Because of this, I have reduced my proposal response time from about 8-10 days to about 2-5 days. Thank you so much for taking the time to complete this review. We are so honored to partner with Tenable in the RFP response process. If you have any recommendations to further improve the application, please don't hesitate to let us know. We strive to make the solution better everyday. "The only way to respond to RFPs! " I love the visibility everyone has into the progress on an RFP, RFI or VSQ that is likely approaching the due date. This helps us hold colleagues accountable and eliminates a ton of unnecessary emails, Slack messages or phone calls because we know the state of the response. At this time there is nothing that comes to mind that I dislike about the product. If there was anything I encountered in the past the RFPio team has been so responsive and quick to improve the product that it's now a distant memory. We respond to a fair amount of RFPs, RFIs, and VSQs in our business. Many of these have short turn around times and require a lot of different departments to get involved. RFPIO allows us to collaborate in real time, reduces our turn around time on these requests, and allows certain team members to take on more than they typically would with the response because of the Answer Library that stores typical answers to questions we receive. Because we are responding faster with more consistent answers we are also winning deals at a higher rate than ever when an RFP is necessary. Thank you so much for taking the time to complete this review. If you have any recommendations to further improve the application, please don't hesitate to let us know. We strive to make the solution better everyday. "Best RFP Response Tool on the Market"
The ease of use. With our last tool, Qvidian, we were required to download Add-ins (which frequently don't work), manually update content in the library, and have a full-time administrator who would maintain the document structure within the tool (or pay Qvidian to maintain it for us). We don't have those challenges anymore! Another thing to note is the customer support. It is first-class. Even the CEO is accessible to us for any questions we have. When the CEO is engaged in your solution, you know you have selected the right partner. And that's what we have. A phenomenal partner! There isn't much to say here. RFPIO is working on updating their FAQs which will help new users. 1. Updating of the database - both old and new content - RFPIO allows us to add new content quickly and automatically place edited and new answers identified in the response process to a queue. It is there that our administrator will review and edit or approve the content. We love the automation as well as the oversight we get with this. 2. SME access - Because SMEs don't work on RFPs all day, every day - like we do - it's imperative that they can use the tool with ease and little to no training. We have seen success and it makes responding to RFPs more efficient. 3. Importing and exporting of the RFP - Quick importing and being able to export the response in the original document we used to load it with OR bring able to export into our own template(s) is a huge time saver! 4. More consistent answers across responses - Becuase the database is easily updated, we are certain that our responses are fresh. We used to spend too much time verifying answers because we didn't have a tool that was easy to update, but that's not the case anymore. Thank you so much for taking the time to complete this review. We are excited to partner with you and your company. Please keep the feedback coming! * We monitor all RFPIO reviews to prevent fraudulent reviews and keep review quality high. We do not post reviews by company employees or direct competitors. Validated reviews require the user to submit a screenshot of the product containing their user ID, in order to verify a user is an actual user of the product. Hi there! Are you looking to implement a solution like RFPIO?